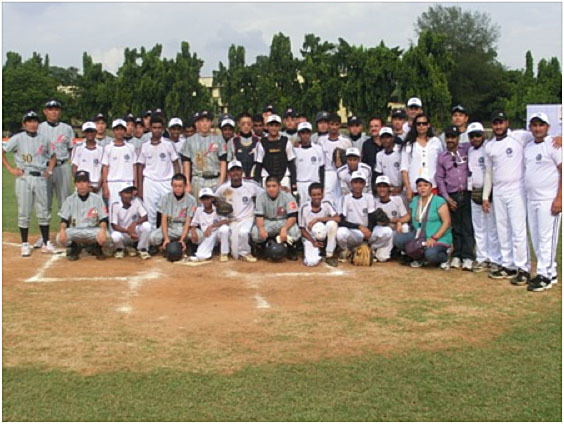 The 15U Asian Baseball Championship is underway in Cuttack, India. The tournament, which will be played through Saturday, November 10, features teams from Japan, Korea, Chinese Taipei, India and Thailand. Host India stunned Japan in their second game on Wednesday by a score of 3-2. Japan had beaten Korea on Tuesday 2-1. After three days Chinese Taipei is leading the standings with two wins, followed by Japan, Korea and India, which are all 1-1. Thailand is currently in fifth place with three losses out of three games. After a rest day on Thursday, the 15U Asian Baseball Championship continues on Friday with the games Thailand vs. India and Korea vs. Chinese Taipei before ending on Saturday with the games Japan vs. Chinese Taipei and India vs. Korea.